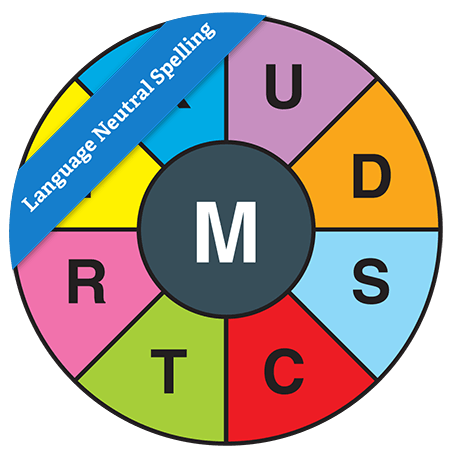 Colour (not essential), landscape format, anagram style puzzle crafted to be language-neutral (can be used in both British English and US English spelling zones). Make as many words of four letters or more using the given letters once only but always including the middle letter. Do not use proper names or plurals. See if you can find the nine-letter word using up all the letters.